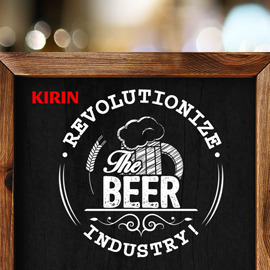 Revolutionize how we drink beer! You belong to the creative generation, the one who dares to challenge conventions and disrupt. Think of how Sodastream changed the way we buy soft drinks by allowing people to make their own at home. Or how SouthWest Airlines revolutionize the airline industry by removing all the thrills to make flying affordable for all. Or how Facebook changed the way you make friends and stay in touch forever. What about beer? Disrupt the beer industry with a revolutionary idea for a new beer product (or service) that will make it the drink of choice for people in their 20s. Get creative and submit your entries by 8 Mar 2015! Looking forward to seeing your entries!